A high quality product from well-known Pantainorasingh brand. 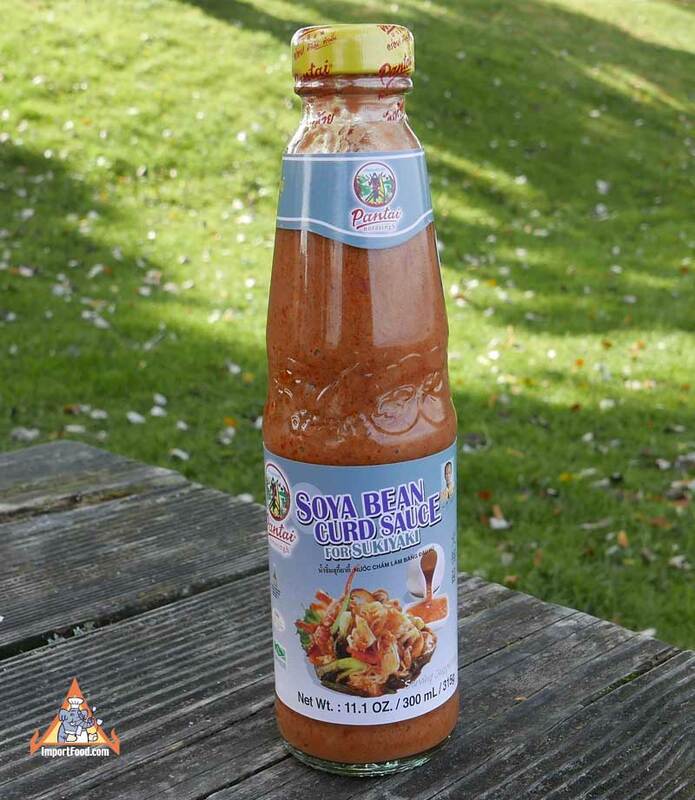 This sauce is used to enhance the flavor of vegetarian dishes, and it's also a good dipping sauce for fried meat, vegetables, seafood, rice, and noodles. Especially tasty if added to chicken stock then vegetables are boiled in the soup, to make Chinese/Thai style Sukiyaki. Ingredients: soya bean curd, water, chile, garlic, salt, acetic acid, sodium benzoate.